1. We have own factory land which bought by ourself with 20,000 square meters, located in Huizhou. With eight lines workshop make us have the all sides producing link, that it helps to control the quality internally, to smooth the process as a system. We use C. R. G. O materials toroidal transformers for all of our power supply products. We’re the first to develop TTI technologies, which makes our idle current 50% 100% smaller compared with others. Established in 2001, Huizhou Yinghua Electronic Co., Ltd. (Previous Foshan Nanhai Yinghua Electrical Co.,Ltd.) Is a professional manufacturer and solution provider of high quality automatic voltage stabilizers ranging from 500VA to 20kVA. Solar integrated inverters and UPS ranging from 500VA to 10kVA, transformers and converters, with brand name of "ipower" for AVR & "Powerhero" for inverter / UPS. 1. From the key components, we produced by ourself with a whole producing chain. For out sourcing components, we strictly adopts the IQC team process. For all of materials we have 100% inspections. 2. Each order for the first piece, we will have fully testing on performance, and appearance, including silk printing, both confirmed with engineers, and sales person. This is the sample evaluating stage before mass production. 1. Our products can be used by home appliances, or by engineering projects no matter for inverters or stabilizers. 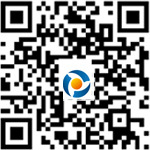 Previous Foshan Nanhai Yinghua Electrical Co.,Ltd.